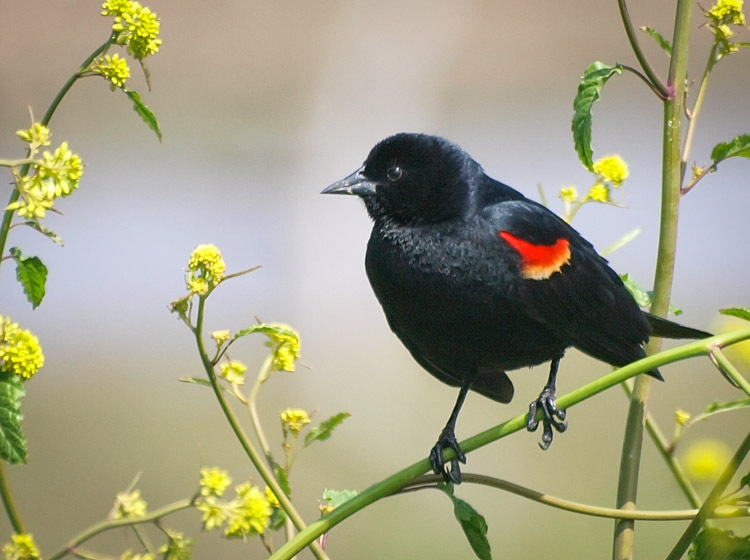 I notice spring birds before spring buds … and just the other day, the Red-winged Blackbirds were vocalizing their intent over a Kirkland swamp. 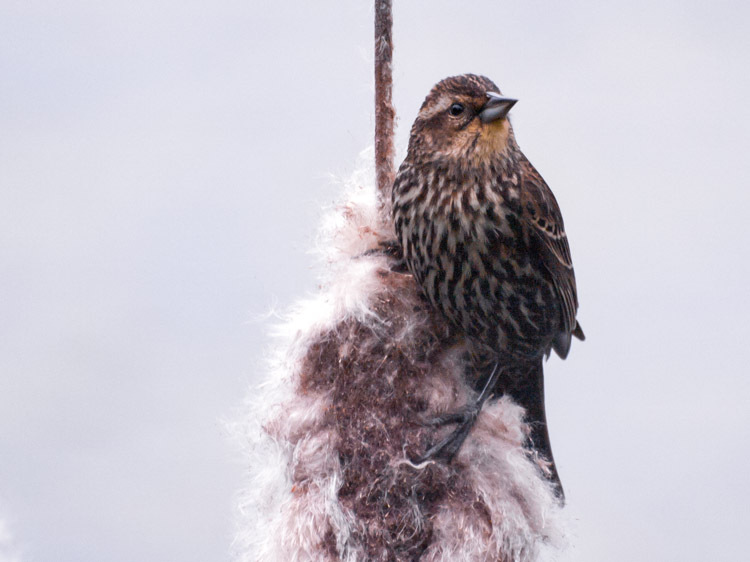 In my periphery I saw the crimson flashes of male birds flitting between reeds, and then females clinging to cattail puffs. As much as I enjoy their displays and the trill of the male’s call — the one people identify as the sound “oka-reee” — I didn’t realize that the Red-winged males sometimes have harems as large as fifteen ladies or more. 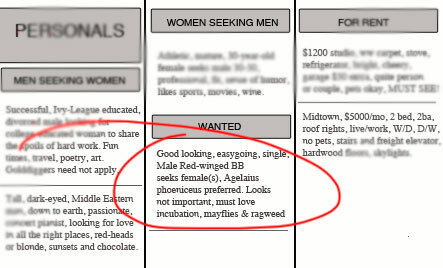 They are are polygynous: single red-and-black males seeking harems. 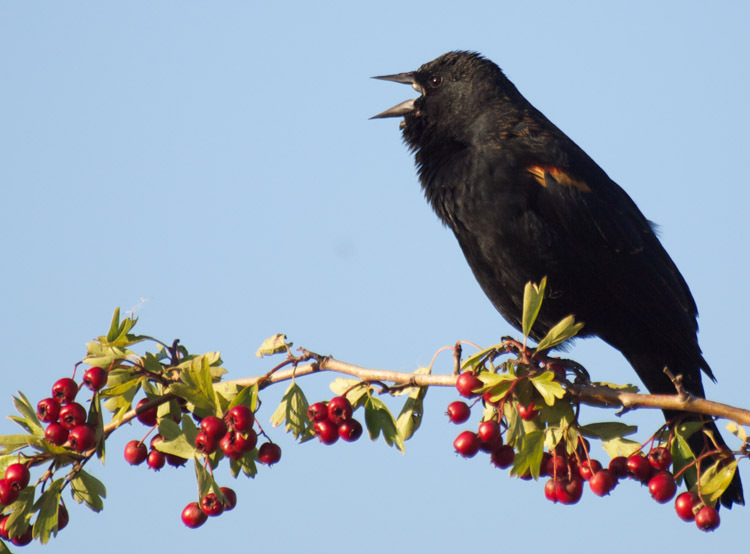 I see Red-winged Blackbirds as often as just about any other bird, but looking through my images from recent years, I have precious few shots showing their impressive displays and behavior. My favorite sighting was in a Seattle p-patch, where a small flock took over the wilting sunflower garden. I looked for them in the same p-patch again this year, but they didn’t show up on my watch. 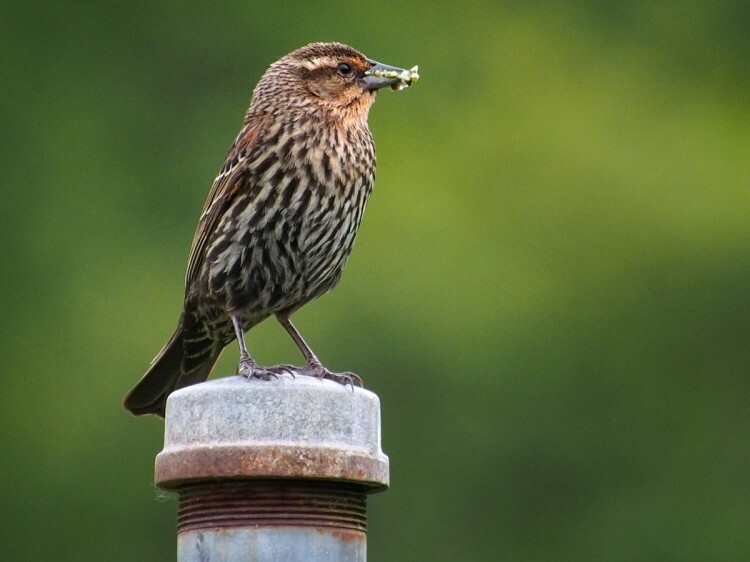 I’ll continue to seek that synchronicity … of [sun]light, camera and action … the Red-winged Blackbird way. The shots in this post were taken with my old 70-300mm Zuiko lens which was often slow to focus and not as sharp or bright as my newer glass. I’m looking forward to seeing how my 50-200mm (Zuiko) compares when grabbing focus between reeds and leaves, in variable Northwest light. I didn’t know you had posted this. 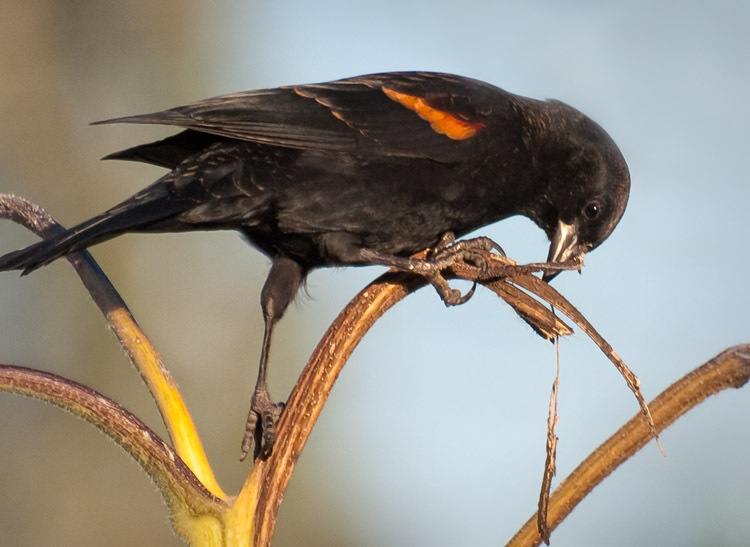 Ron just posted the Yellow-headed Blackbird which reminded me of this one you’re posting. I ignored it while I was in Florida. It was the “king” at the marshes where I stayed. I loved his song. I hope next time to also take pictures of him. I was after the Great Blue Heron instead. Maria, thank you for letting me know about Ron’s post! What stunning images of the Yellow-headed Blackbirds. I also enjoyed hearing the yellow’s call. It looks like we both have a blackbird quest in mind. I love that first image the most. You can see all of the red down his back. Thanks, Carol. I wish I had a photo showing the beautiful coloration on the female’s back in perfect light … but it’s nice to have something to shoot for (literally).